No matter what the weather is like, whether it’s a stormy winter day or a perfectly peaceful summer evening: whenever I’m at the sea, I can’t stop admiring every aspect of it. 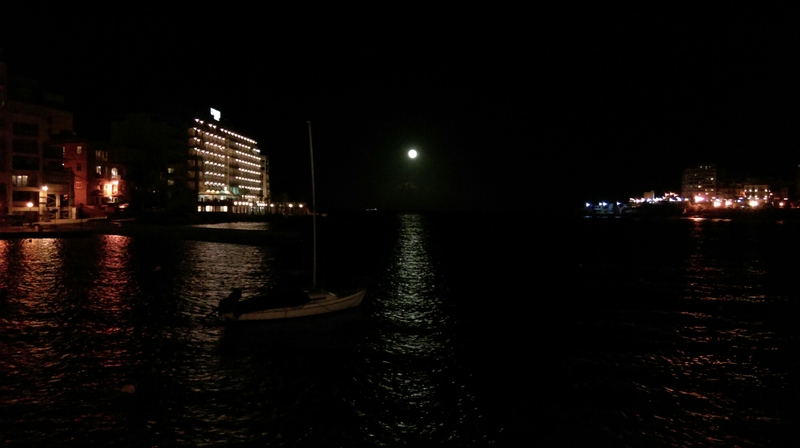 And during the night, when the ocean’s edge melts into the sky, just an endless mass of black, I can’t help but wonder how many other pairs of eyes are looking at the same water at the exact same time. The world is full of beautiful buildings, from ancient temples to modern architecture. But for me the purest, most stunning kind of beauty is found in places like this, where nature’s raw forces are left to design our environment. 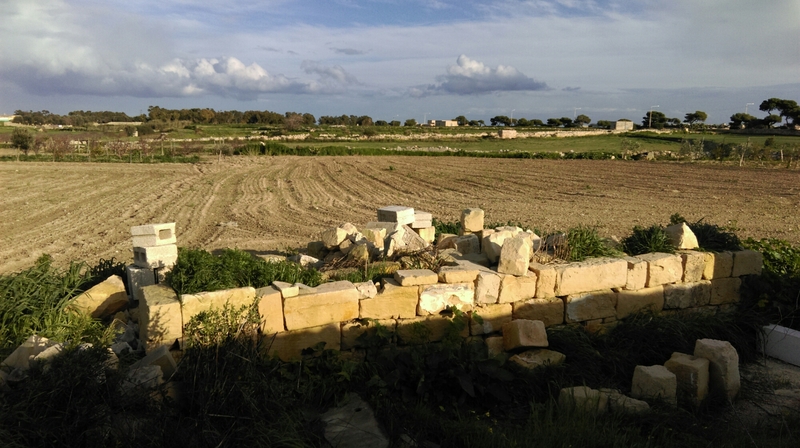 But Malta isn’t just about the ocean: towards the heart of the island, fields and greenery outstrech, interrupted by the occasional building – or a part thereof as in this picture. This half finished (or half destroyed?) wall, randomly placed in the middle of nowhere, almost looks like it’s there to stop the lush green wilderness from taking over the field, doesn’t it? 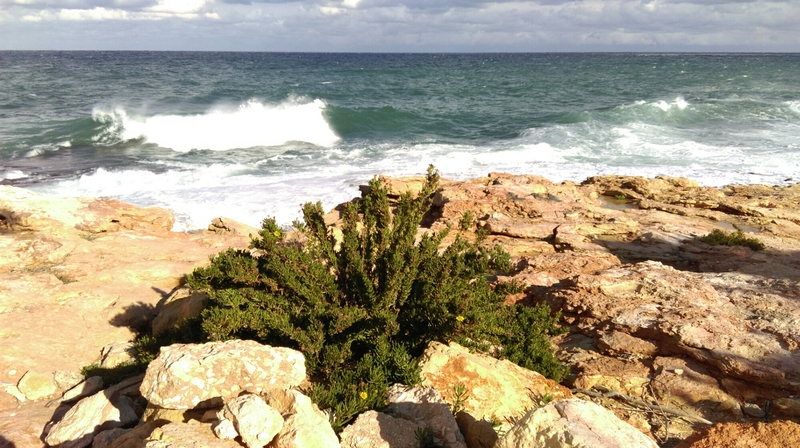 Posted on February 14, 2015 February 14, 2015 by Kerstin	This entry was posted in Places, pictures, beauty and tagged beauty, expat, expat life, expat lifestyle, Malta, nature, ocean, photography, pictures, sea. Bookmark the permalink.